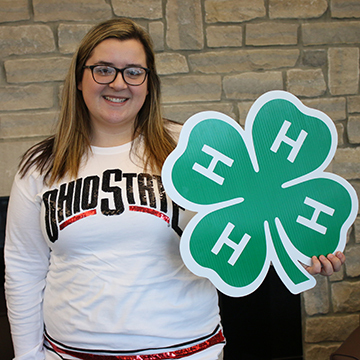 During the summer of 2018 I had the opportunity to intern with The Ohio State University Extension in Highland County. 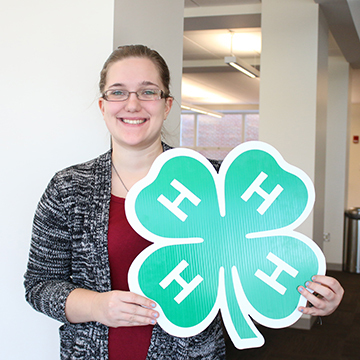 I worked closely with our county extension agent to prepare for 4-H camps, summer judging and the Highland County Fair. I worked a large part to plan Clover Fun Day. 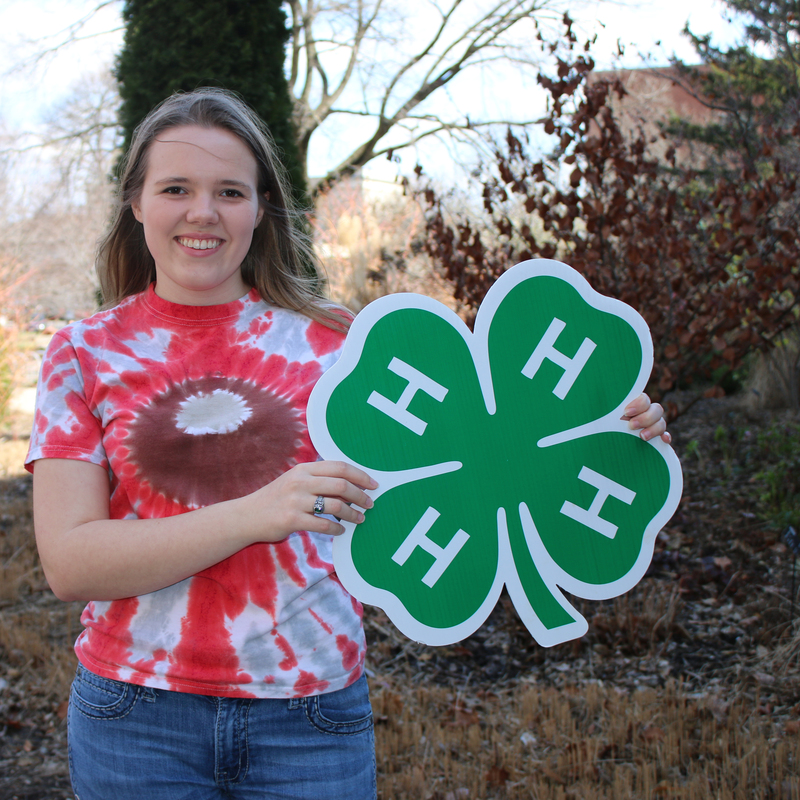 The theme this year was “Down on the Farm with 4-H.” I worked to create name tags, design t-shirts, and ensure we had all the supplies needed for the activities and meals. 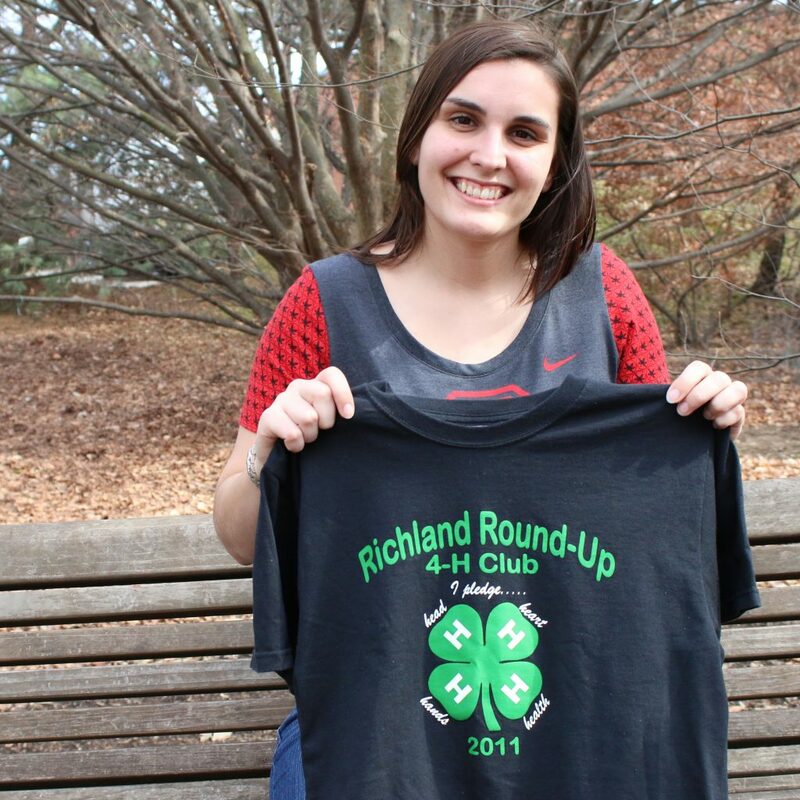 I also worked with the Highland County Junior Leaders who are the members who are in charge of the event. It was fun to design and create all the materials needed for the day. Summer judging takes place in July which is where the cooking, sewing, and several other special interest projects are judged. 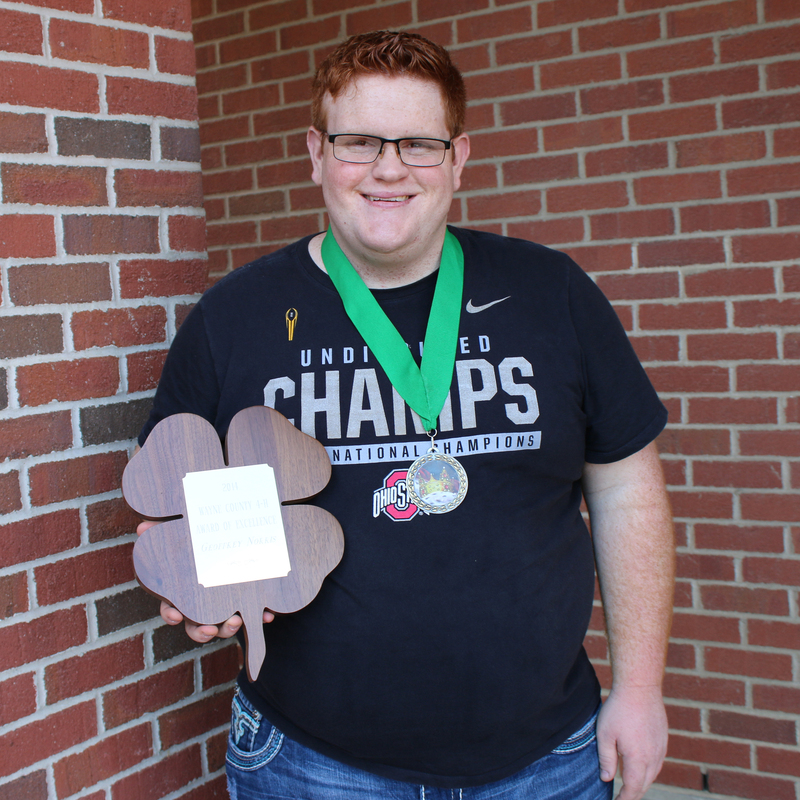 I helped to write the press releases for the awards ceremony, crafted the packets for the first-place winners, worked closely to ensure all the scoresheets and folders had the scoresheets and questions for each project. 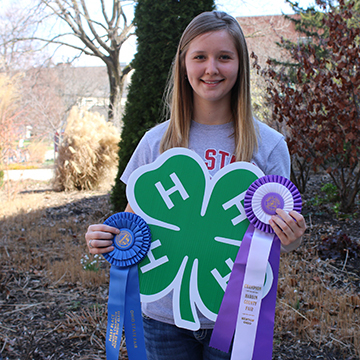 I helped to create the state fair packets for the members who qualified for state fair. 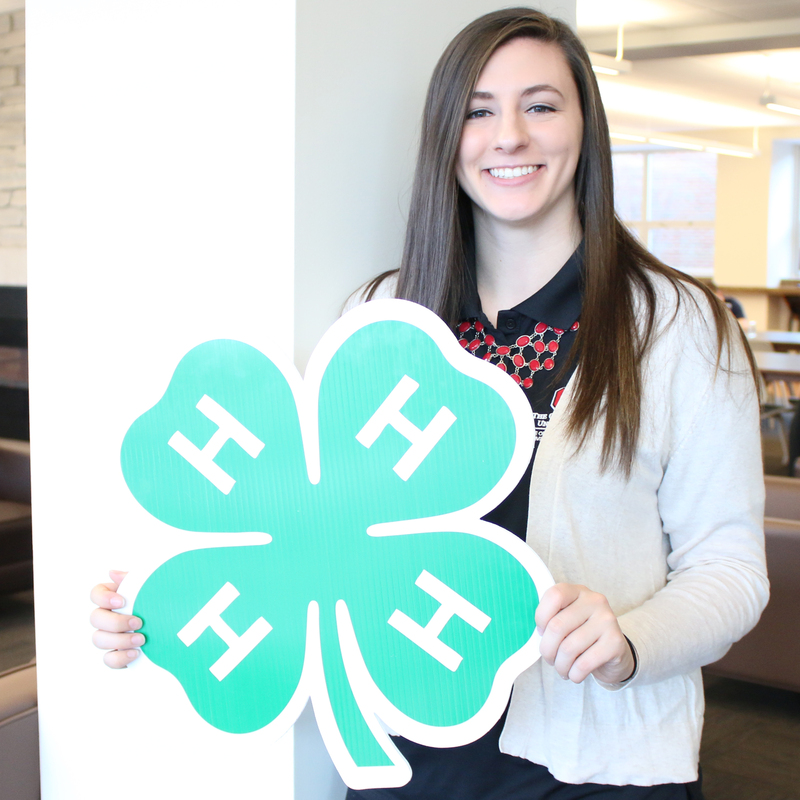 I loved learning about projects I had no idea existed and working on my communication and writing skills. While in the office I interacted with those who came into the office for different needs. I answered the phones, learned how to balance and work with money for different items sold, and filed papers. I also designed and wrote the monthly newsletter entitled “Highland Happenings.” I learned more about working with branding guidelines. During the final weeks of my internship I worked to prepare materials for the Highland County Fair which is the week of Labor Day. I copied and prepared scoresheets and questions for the judges. 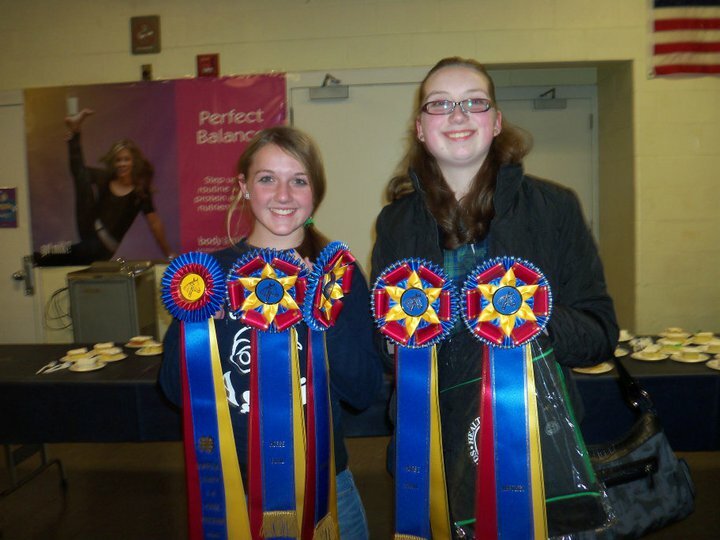 I also worked to create a schedule for special interest judging at the fair. Interning with extension was a fun experience to learn to design and create different marketing materials and work to gain skills in the communication field. 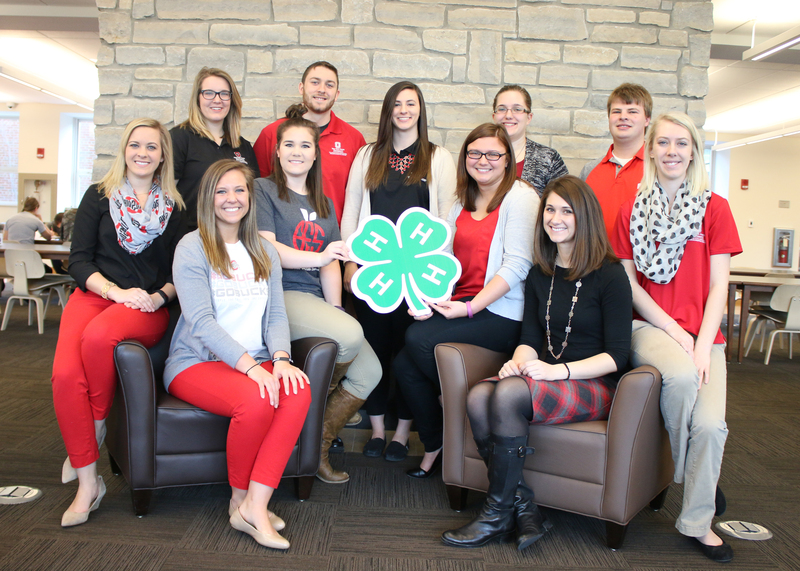 Meredith (far right) with 4-H participants. 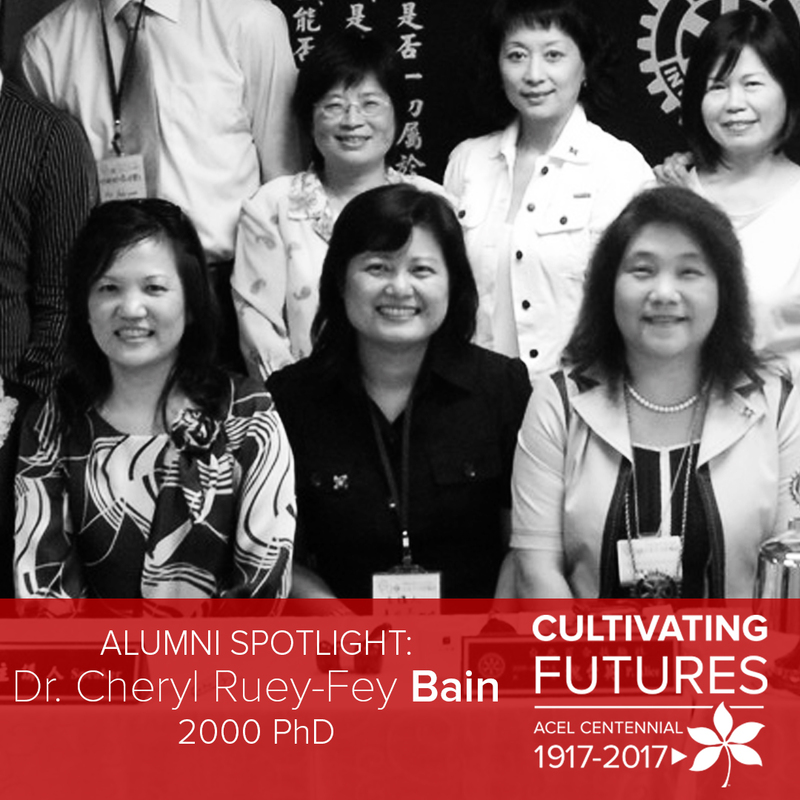 Dr. Cheryl Ruey-Fen Bain graduated with a doctorate in agricultural education in 2000. 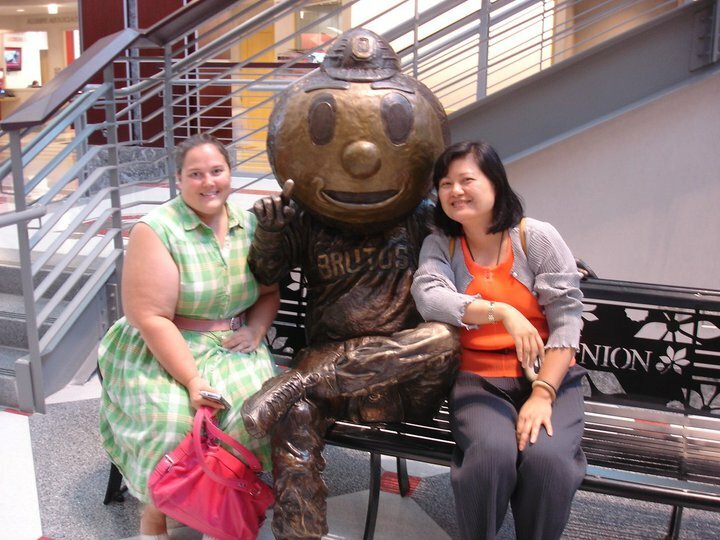 Originally from Taiwan, Bain spent five years at Ohio State and then returned to her native country. She currently works as an associate professor in the Department of Leisure and Recreation Management and General Education at De-Yeah University. [ACEL]: Hello Dr. Bain! 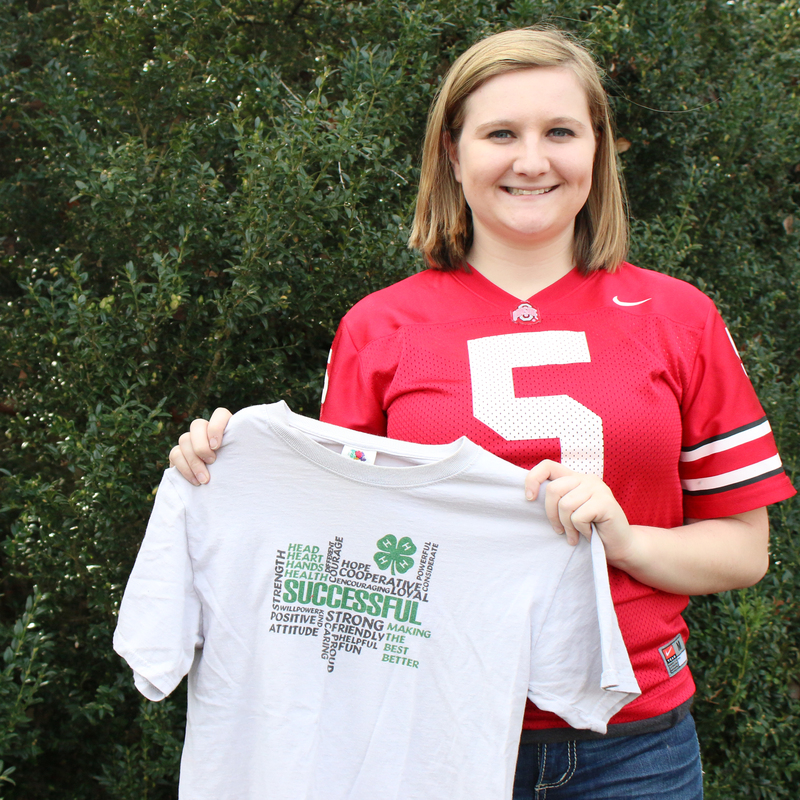 Why did you select your graduate program and to attend Ohio State? [Bain]: I graduated from National Taiwan University in 1990. I was working as a teaching assistant and met the ACEL graduate chair, Dr. Larry Miller, when he visited National Taiwan University during spring semester in 1994. Dr. Miller recruited me to apply OSU. I was also very lucky to have Rotary International 3-year Ambassador scholarship supported by D3460 (Taichung Taiwan) and hosted by D6690 (Columbus, Ohio). 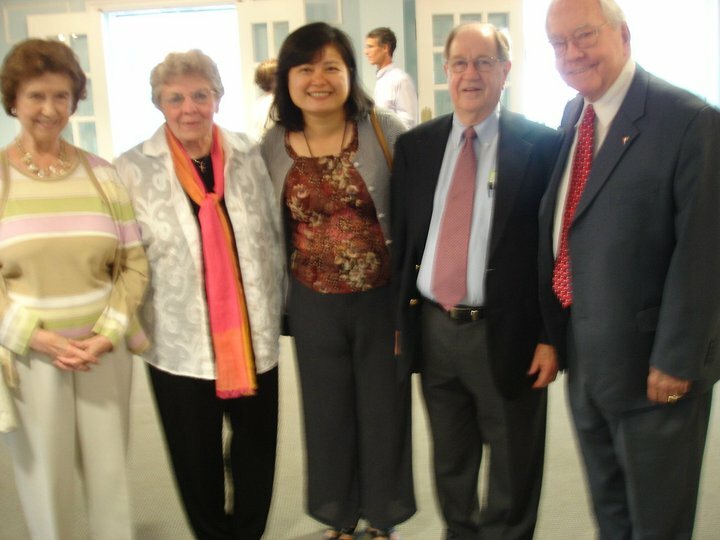 I knew many former Ohio State alumni, such as Dr. Liao Cheng-hong, Dr. Shaio, Kuen-shan, and Dr. Shin-Shin Chen, who recommend me the outstanding program of agricultural education. 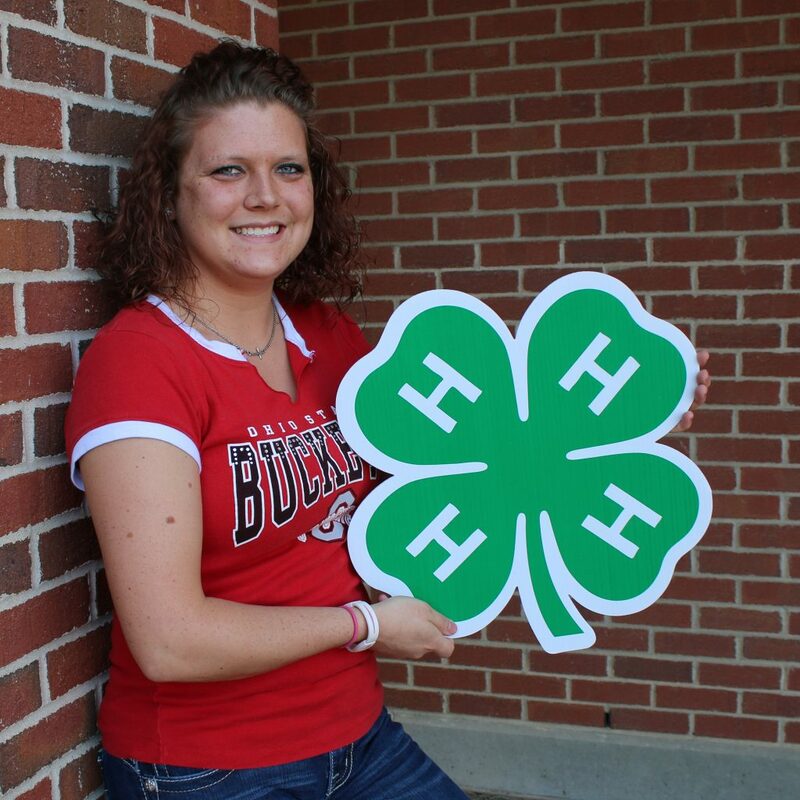 In addition, Ohio State was land-grand university with strong top 4-H program which attracted me when I worked for National 4-H Club Association of R.O.C. The most important thing was Dr. John Mount, one of rotarians who was vice president at Ohio State, volunteer to be my consultant for 3-year ambassador scholarship. I took courses and participatde in 4-H Extension program to explore and empower my knowledge and capability under Dr. Larry Miller, Dr. Wesley Budke, Dr. Cathy Cox, and my mentor and Rotary International scholarship consultant, Dr. John Mount. 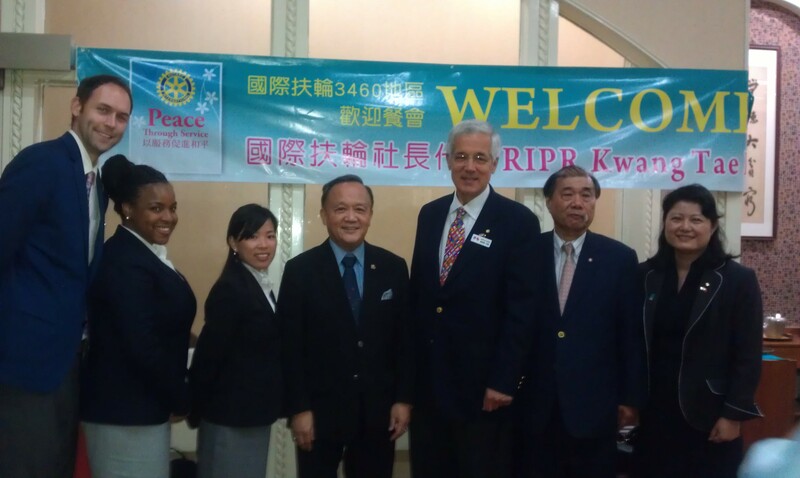 Now, I am a Rotarian in D3462 since 2003, and advisor of 4-H Club at Da-Yeh University. I worked as a research assistant for Dr. Larry Brown on his water management project, then I also worked at CCME for more then two years before I attained my Ph.D. The 995 statistics instructed by Dr. R. Warmboard who guided with practical exercises. I took 995 course syllabus to start my first very graduate course in Da-Yeh University as a popular course in 2000. There were so many great teachers, and staff who assisted my learning at OSU, if only one that I have to choose, I have to pick up Dr. John Mount who became my life mentor and role model. 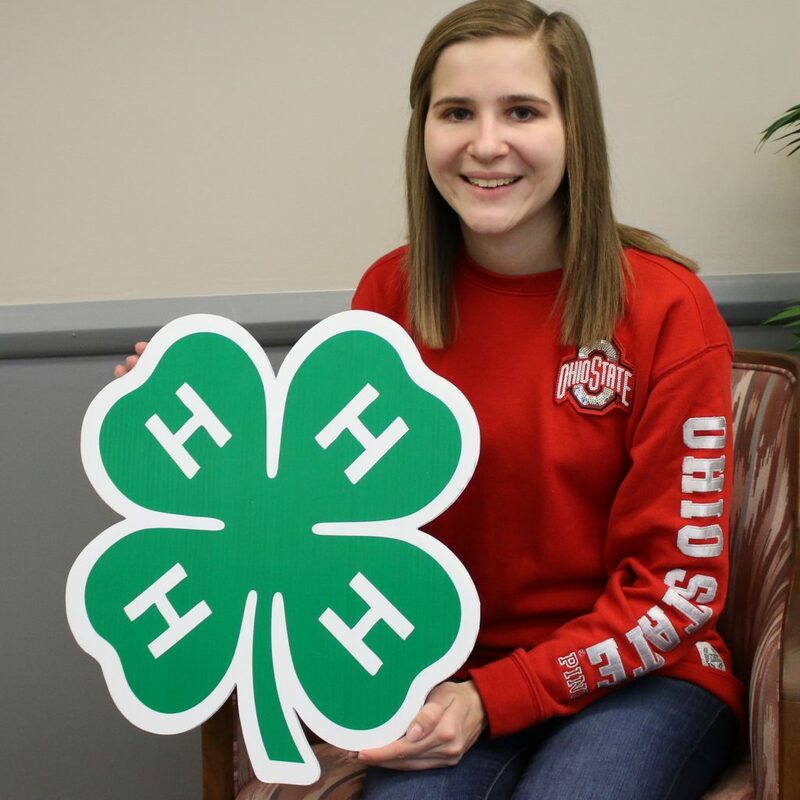 The summer 4-H leadership camp as counselor as well as 4-H dormitory supervisor under the instruction of Dr. John Mount and Dr. Cathy Cox at Camp Ohio and the Ohio State Fair. 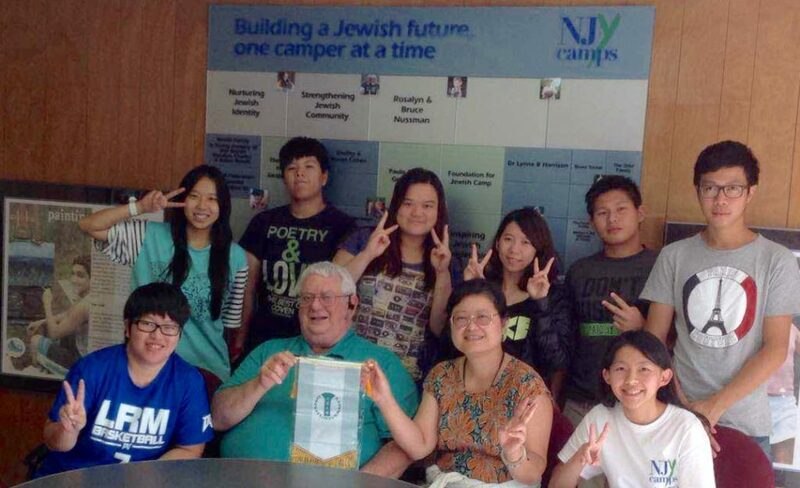 I was the first Asian student to work at camp and state fair to learn by doing with great pleasure. After I attained my Ph.D., I return to my home country, Taiwan, to be an assistant professor at the very first department of Leisure and Recreation management at Da-Yeh University in Taiwan. 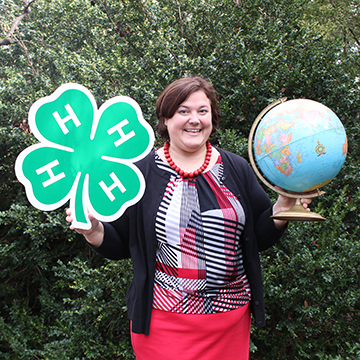 I brought my camping experience to teach and worked for international exchange program in many programs such as 4-H Exchange, Rotary Youth Exchange, and Group Study Exchange with more than 10 countries. Share the positions you have held throughout your career. I have been worked for National Taiwan University and Da-Yeh University in my academic career taking more than dozen of research projects on education, tourism, and recreation. 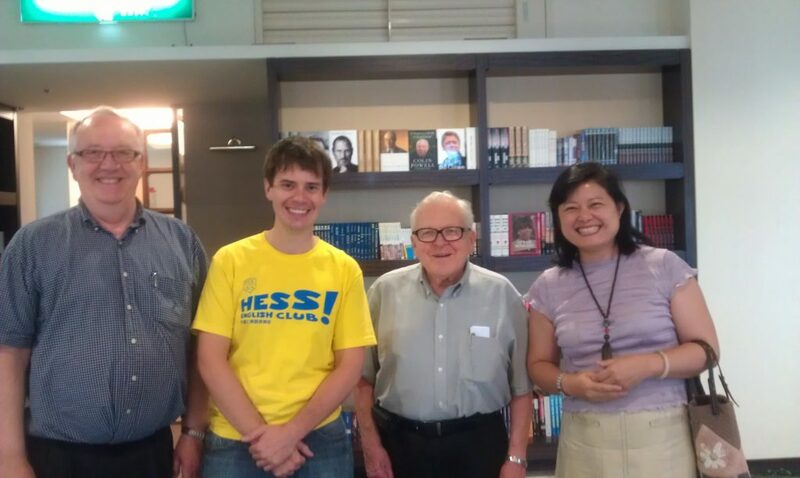 I also volunteer for many international exchange program, such as Rotary International in Youth Exchange, and Group Study Exchange. 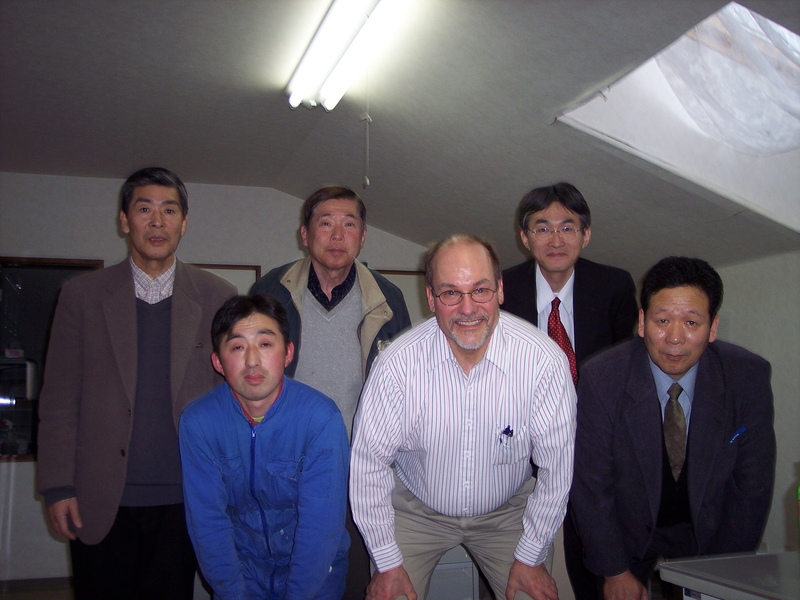 I have received as outstanding teaching faculty at Da-Yeh University for more than 5 times since 2009. As a delegate of Group Study Exchange Program to D1570 in the Netherland in 2003 and became the first female leader of Rotary International Group Study Exchange program with D7190 in 2009. I helps college students to apply to oversea study programs and there are more than 60 students that have visited South Korea and the United States. I volunteer for many international exchange program, such as Rotary International in Youth Exchange and Group Study Exchange. 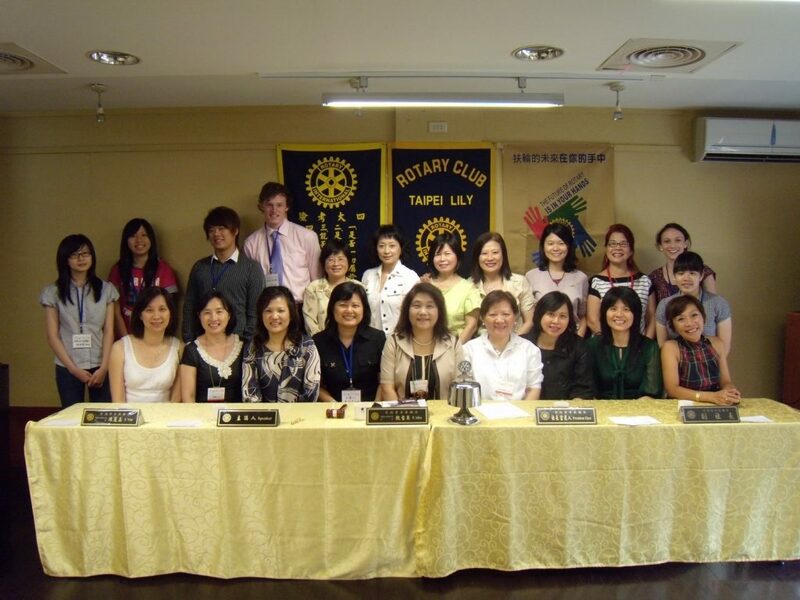 The international exchange program that I achieved as the first female Rotary International Group Study Exchange leader in Taiwan. 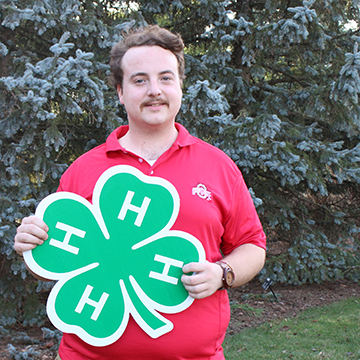 There are more than 60 colleges under my instruction to take camp internships in the United States. Just do it, God will reward us with His best! 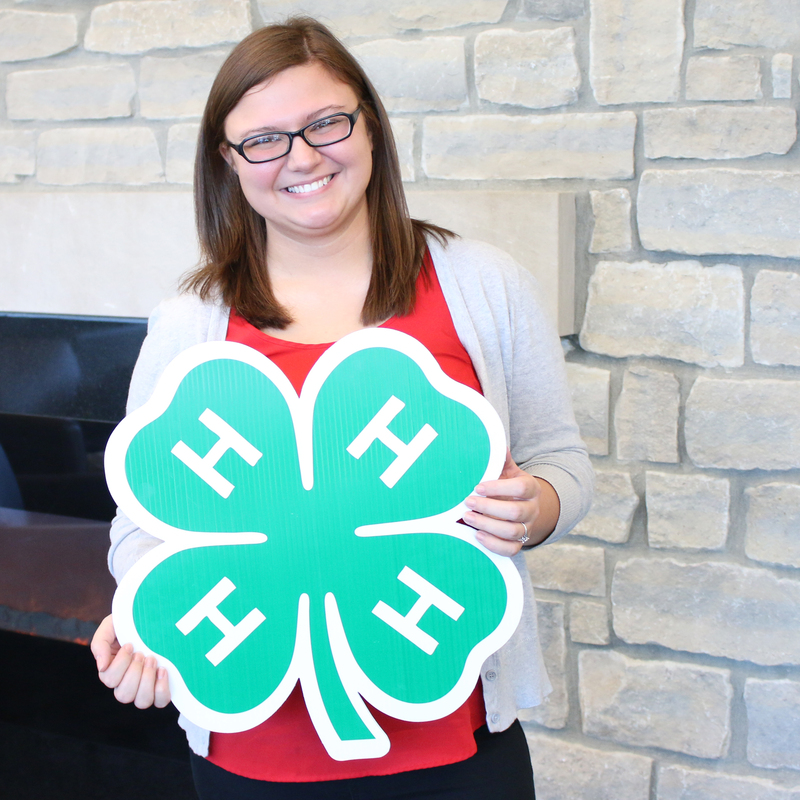 ACEL empowered and enriched my informal education experience such as 4-H leadership camp, state fair working experience. I have been very lucky to enroll OSU to change my life, I cherish and pride to be part of members of ACEL family. [ACEL]: Hi Ralph! You majored in agricultural education at Ohio State. What made you choose that major? [Stonerock]: Because I really didn’t know what I wanted! 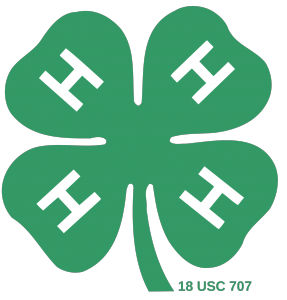 However, I had a great vo-ag teacher in Don Mercer, great 4-H advisors, great experiences. 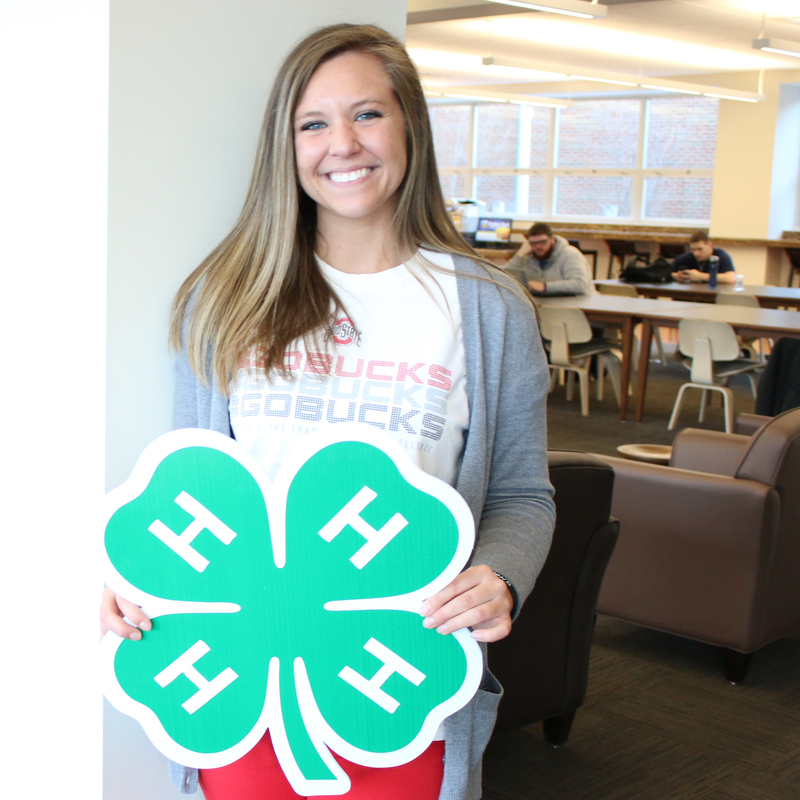 Additionally, everything surrounding agricultural education was fascinating and allowed me to expand personally. I had no financial support from my parents, nor did I expect any. I scored very low on ACT and was expected to fail the first quarter. Ohio State had to accept me. The challenge, the experiences, and the adventure to leave the security of hometown was something I couldn’t ignore. If I were to fail, it would be at Ohio’s largest university and most taxing. Exposure to the world of knowledge became addictive. Each course, each instructor, each graduate student assistant, each classroom experience was adding to my choices, yet proving to be directional. 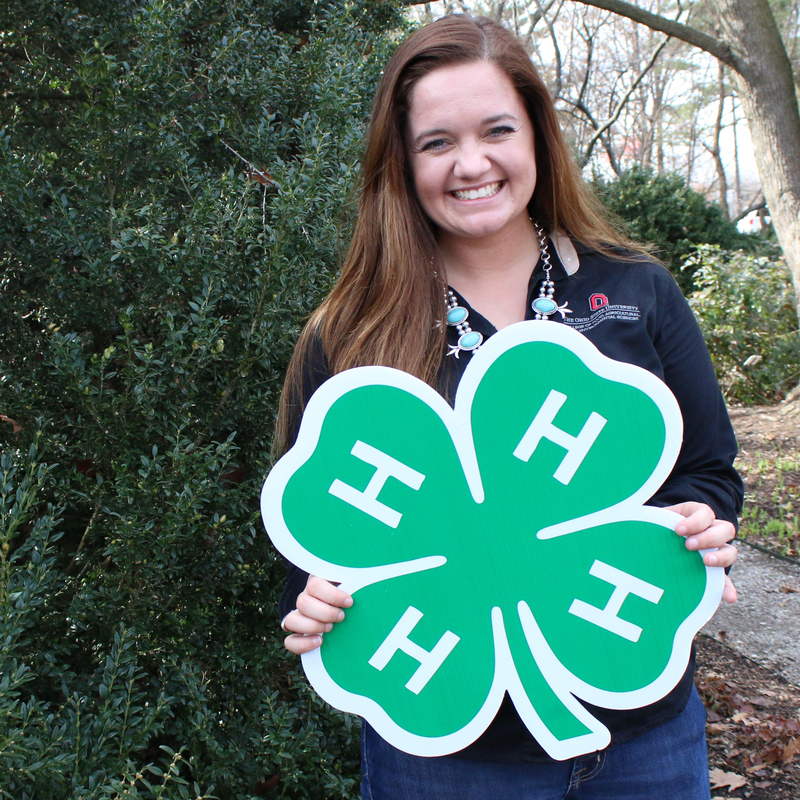 I worked in the Poultry Science Department and became more impressed with faculty and staff. I saw curiosity take hold in exploring unknowns. 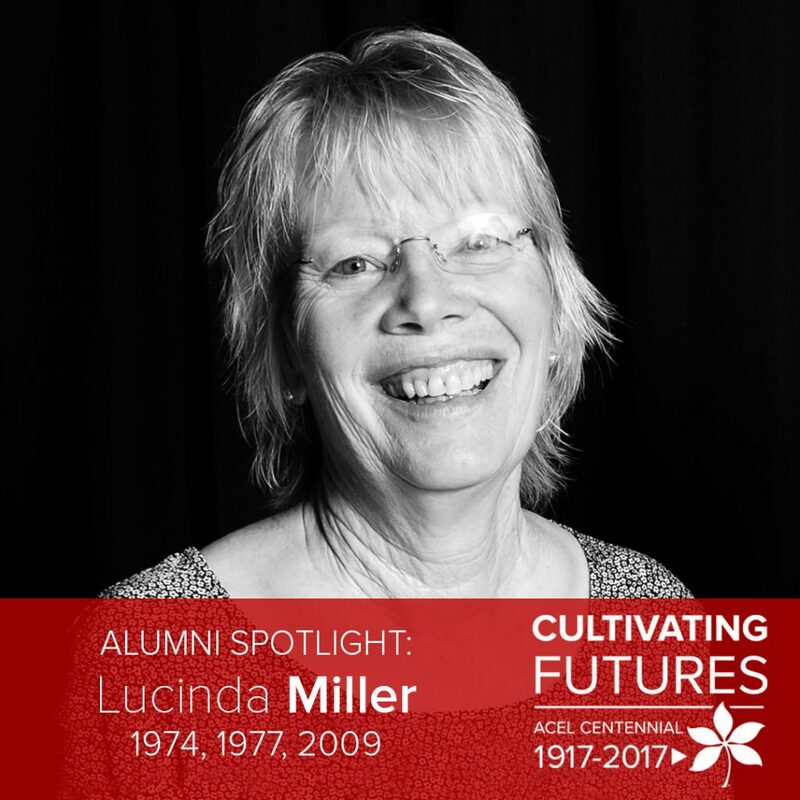 Both Poultry Science and Agriculture Education departments became a home and a stabilizing asset when I lost a sister and my mother in the same year. 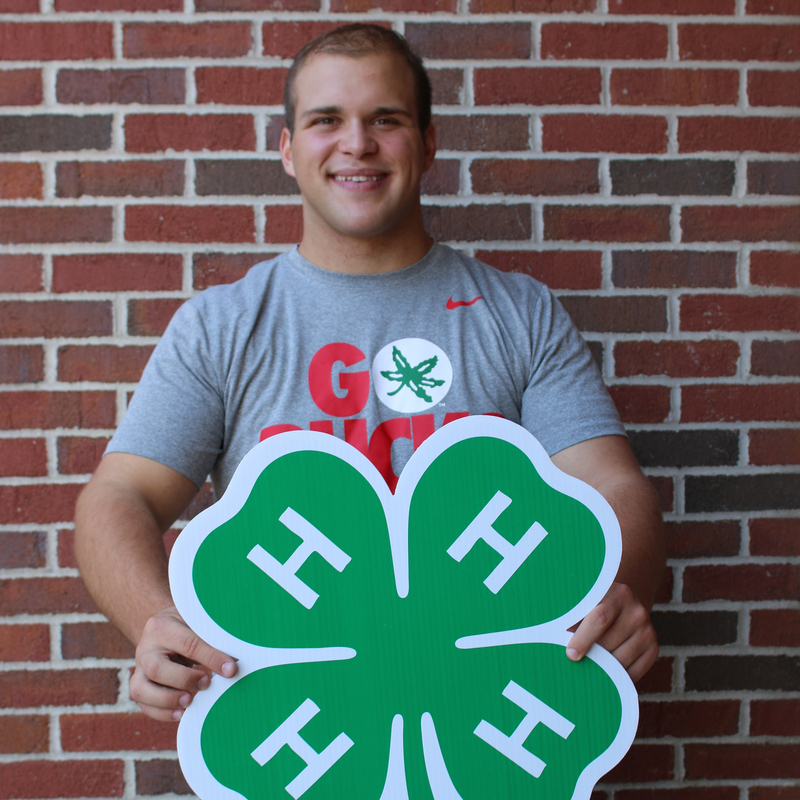 My life at Ohio State opened a lot of doors toward opportunities. Even the elective courses were broadening. One in particular on photography where I expected an A since mid-term and finals were aced. However, a B was given. I elected to visit the professor, he admitted that I knew the mechanics and technical theory, but did not display artistic use. Then he kindly showed me other students work. That was an epiphany moment. The experience opened me to greater possibility thinking. I retold that experience to many of my students in Peace Corps, as an agriculture teacher, employees, and most recently in Africa to farmers. It benefited me and serves to guide others. Another experience was setting up a poultry genetic study I misunderstood the sexing separation for Dr. Japp and nearly ruined the trial. Ivan Cottril and Dr. Japp corrected me and opened me to seeing research as observation, a functional tool. Those experiences combined with learning communication brought success and encouragement to others. How were you involved in student life at Ohio State? 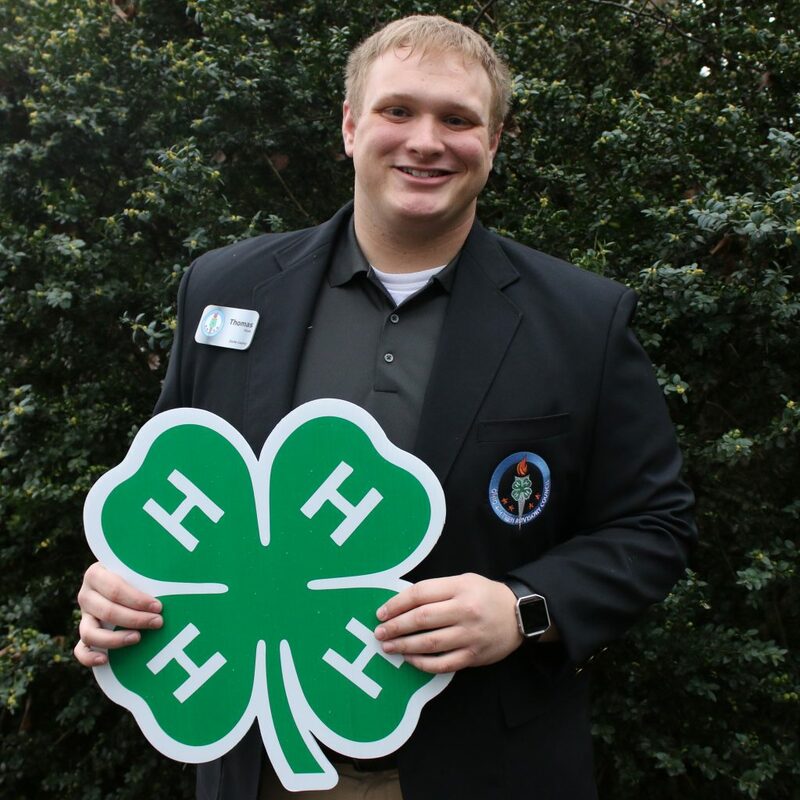 Campus 4-H, an Agricultural Education Society officer, Poultry Science Club, Poultry JudgingTeam , initiated and served as president of the International Society, Towers Honorary. I was also employed at the Poultry Science Laboratory and off campus. Biology, math, chemistry, all agriculture classes. In particular Agricultural Engineering because of its practical application. Dr. Marsh’s poultry diseases class because it taught me to explore causes after seeing symptoms. International Economics and Agriculture Economics since it explained how people reacted and affected by markets. 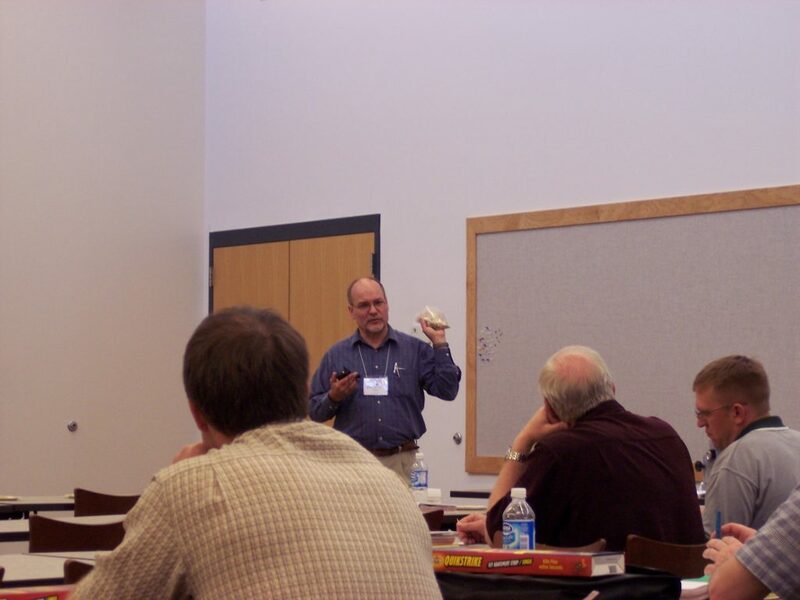 Animal nutrition taught by Dr. Cline because it opened more potential exploration questions that at the time were not known. 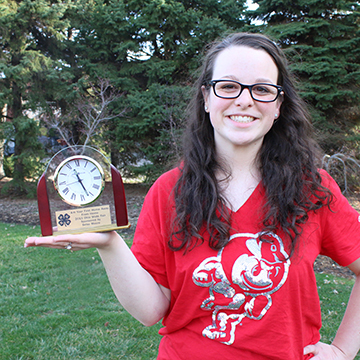 Which faculty or had the most impact on your time at Ohio State? Dr. Bender and Dr. Boucher guided my course selections. Doctors Marsh, Japp, Cook, Cline because their accomplishments were inspirational. Dr. Japp was recognized by the French government while I worked for him and his graduate students. He should have been nominated for a Nobel as the first to discover the function of Bursa. It took the medical researchers nearly 10 years later to find bursa functional cells in humans. He also impressed me with his dedication to discovery. What is your favorite memory related to your time at Ohio State? Sports, dedication, meeting people that later became connections and vital to my success. Participation in celebrating a Rose Bowl victory and going to the Union to watch Neil Armstrong on the moon. Graduating with graduate students that were my instructors receiving their PhD’s. Peace Corps in the South Pacific teaching agriculture at two schools and managing a UN funded breeding project for swine improvement and chickens. Upon returning I taught vocational agriculture at Gallipolis, Ohio, before entering graduate school at University of Florida. I managed a egg layer complex and a broiler complex on Grand Bahama Island. I have been the production superintendent for Vigortone Feeds. Production and marketing supervisor for Kuder Farms in Florida. Marketed Hisex Egg layers in Indiana and Ohio. Marketed products produced by Carl Akey, later as a poultry nutritionist and researcher. Biomin Poultry Director worldwide before retiring. I do some poultry consulting and volunteer assignments with USAID. Additionally, I farm, research/explore use of Beauveria bassiana for row crops. 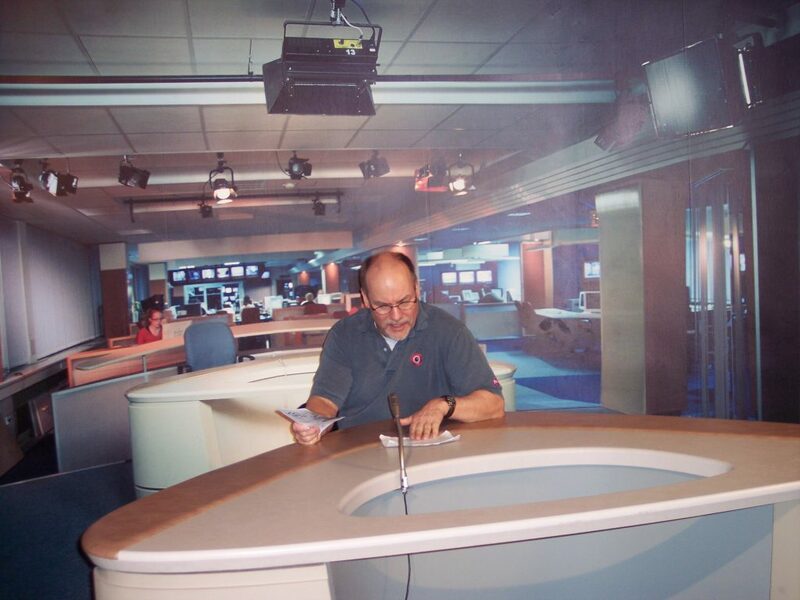 Numerous times I have stood at the podium while peers praised my work. But the awards I favor most are those by clients saying thank you. I was first to publish studies in crop function by cropectomy, first to publish a non-fast molting nutritional profile for laying hens that became a world standard, first to outline a nutritional profile on phase feeding laying hens which was later adopted by commercial breeders. 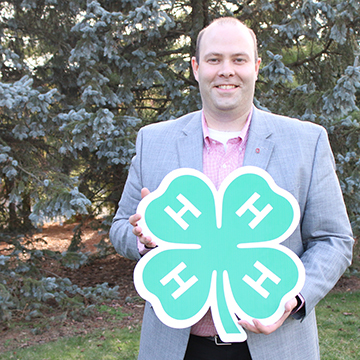 Co-founder of the Poultry Health Management School, now a successful 16 year history. Chaired five different committees for Poultry Science and president of Southern Poultry Science. 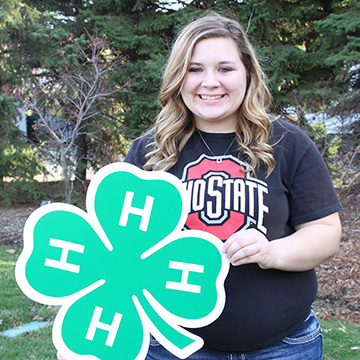 Chosen by producers to serve president for Ohio Poultry Association two years. Finally, to be recognized by my home town high school for accomplishments. Invited speaker on gut nutrition in Queensland for World Poultry Science and to speak at the Austral-Asian Poultry Researchers in Bussan, Korea. Addressing a group of Russian veterinarians on poultry nutrition just 200 kilometers from the North Pole. Seeing their excitement as I spoke. Having traveled six continents and having made friends in all locations. Discovering the symbiotic relationship of Beauveria bassiana in row crops when applied to seed (found in Union county). Take every class seriously. Learn to admire with awe the sacrifices others have made on your behalf. Enjoy meeting people. You will likely encounter them again. It started in my home community with Ohio State graduates that taught school or volunteered. They gave a sense of purpose and encouragement. 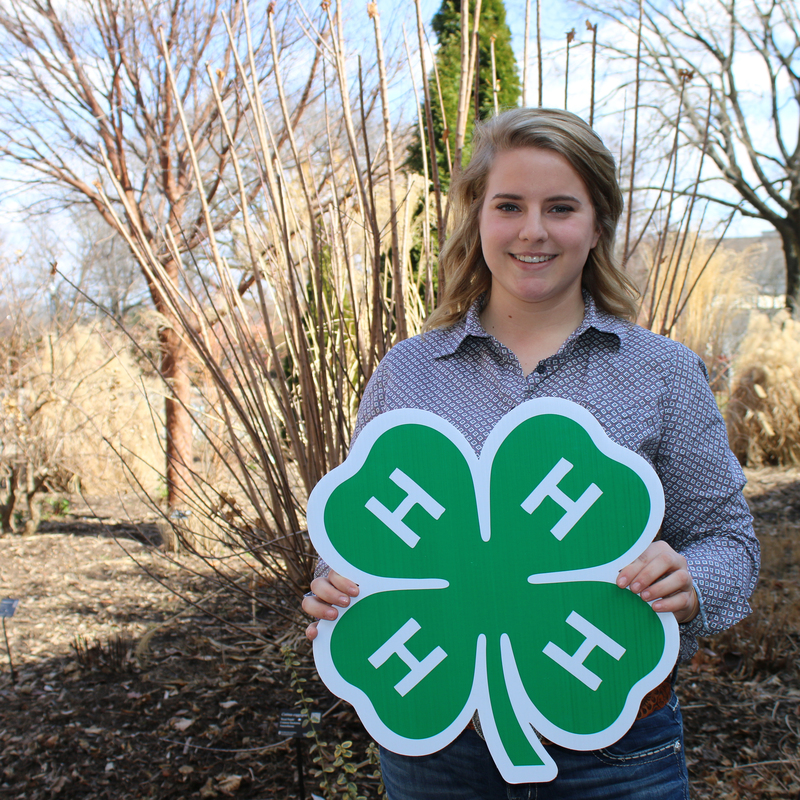 Agricultural education and communication refined the skills for helping others find their path. I am pleased for the involvement. 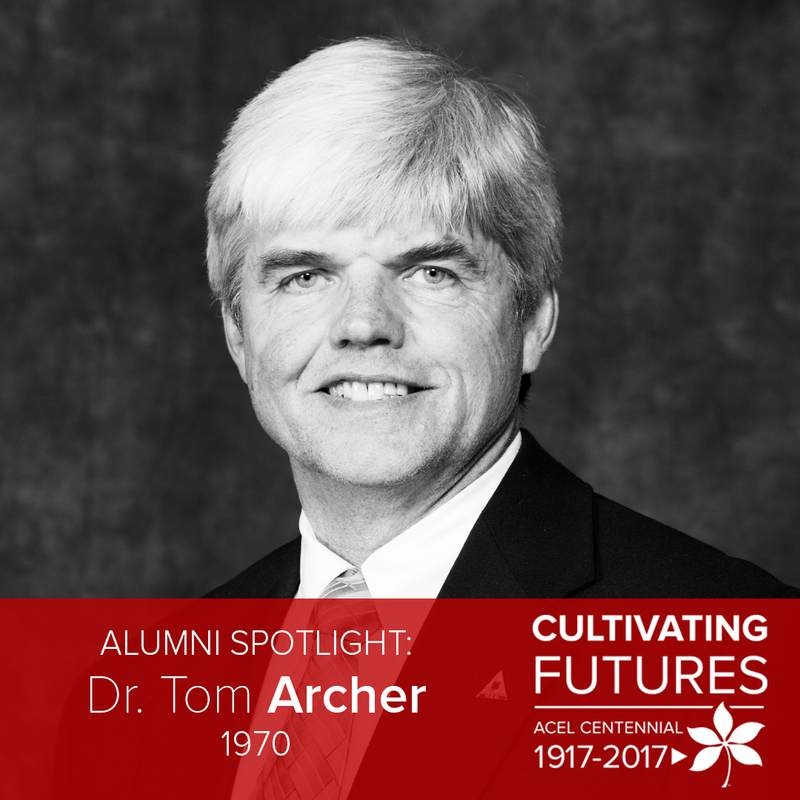 Tom Archer came to Ohio State to major in agricultural education and has spent his career educating others about agriculture and working with youth. 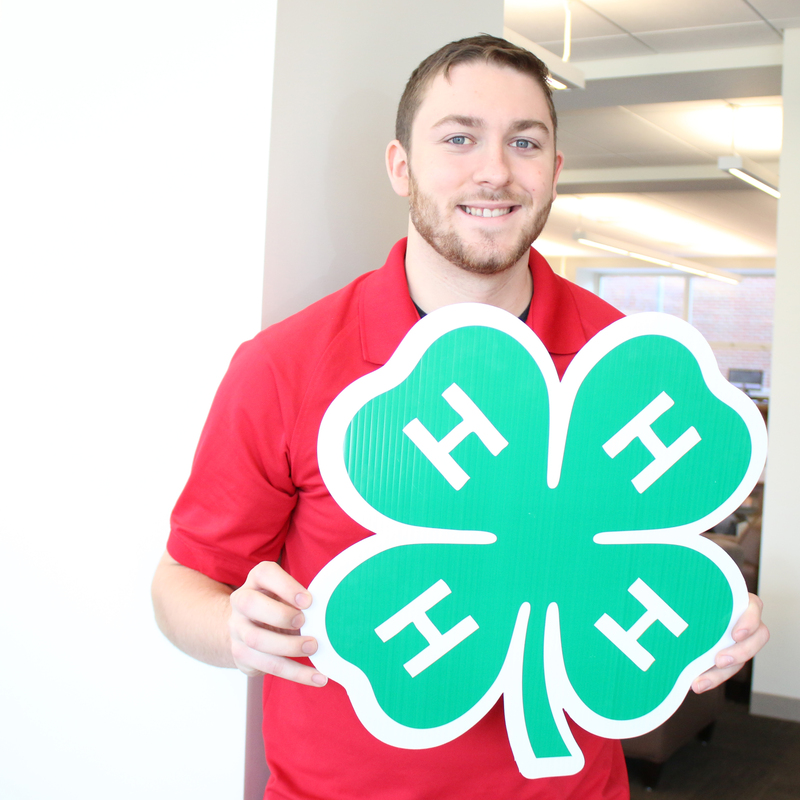 Tom currently works for Ohio State University Extension as the assistant director for 4-H Youth Development. [ACEL]: Hi Tom! 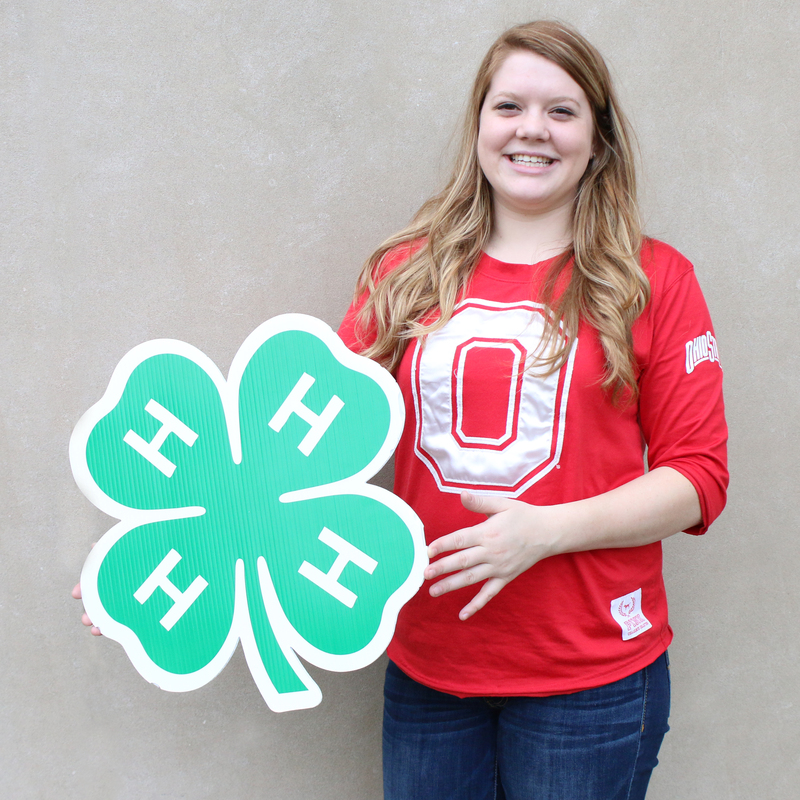 As an Ohio State student, you majored in agricultural education. Why did you chose that major? 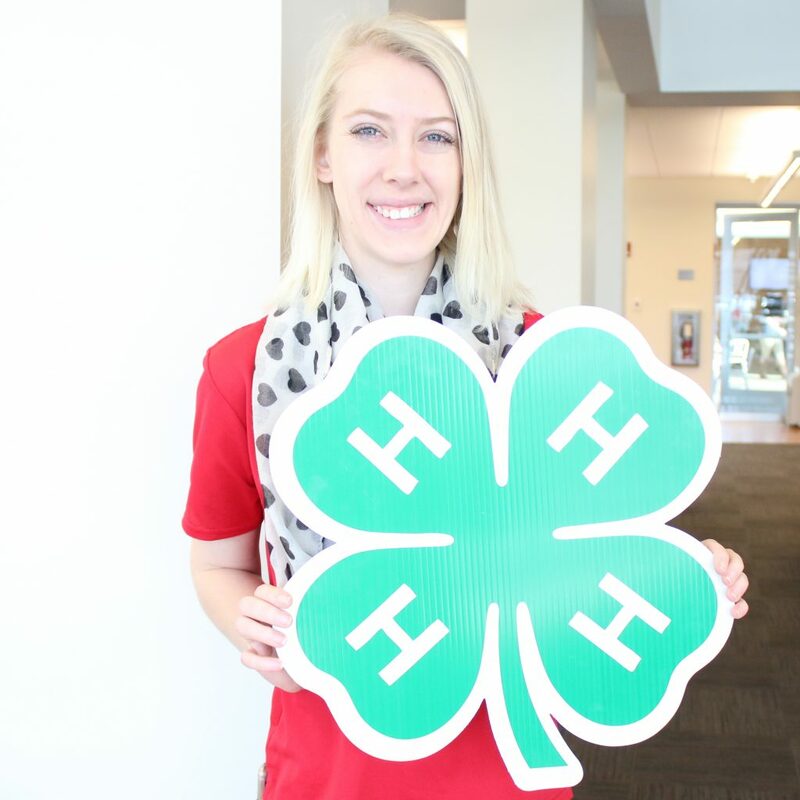 [Archer]: I selected agricultural education as a major because I was not sure what I wanted my career to be, and that major provided the opportunity for flexibility in selecting a wide variety courses. 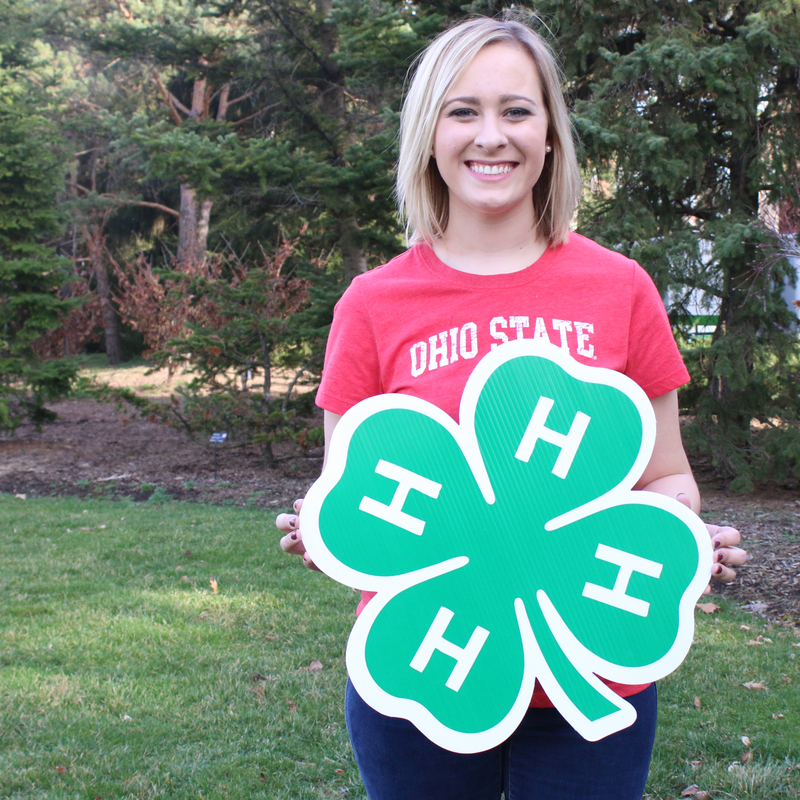 I selected The Ohio State University for two reasons: (1) I had much contact with Extension and 4-H in my formative years, which were closely aligned with OSU, e.g. 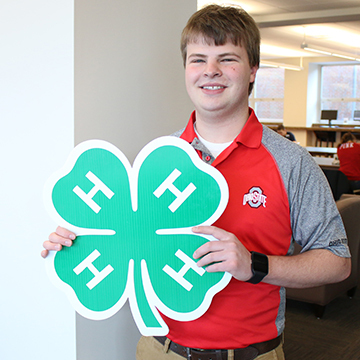 I was delegate to the Ohio 4-H Congress on campus in the Fall of 1965; and (2) My high school basketball coach was a native of my home county and a recent graduate and enthusiastic supporter of Ohio State. Where you involved in any student organizations while a student? I am a member of Alpha Gamma Rho Fraternity. 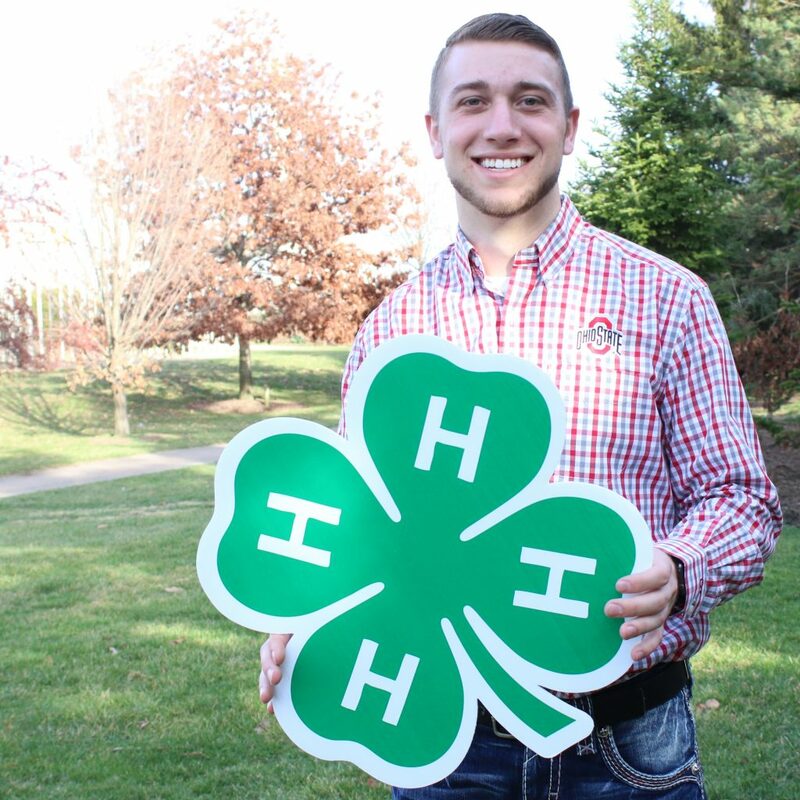 Also, I was a member of the Agricultural Education Society (vice-president my senior year) and a member of Towers Agricultural Honorary (president my senior year). I enjoyed math and the classes that related to educational research. 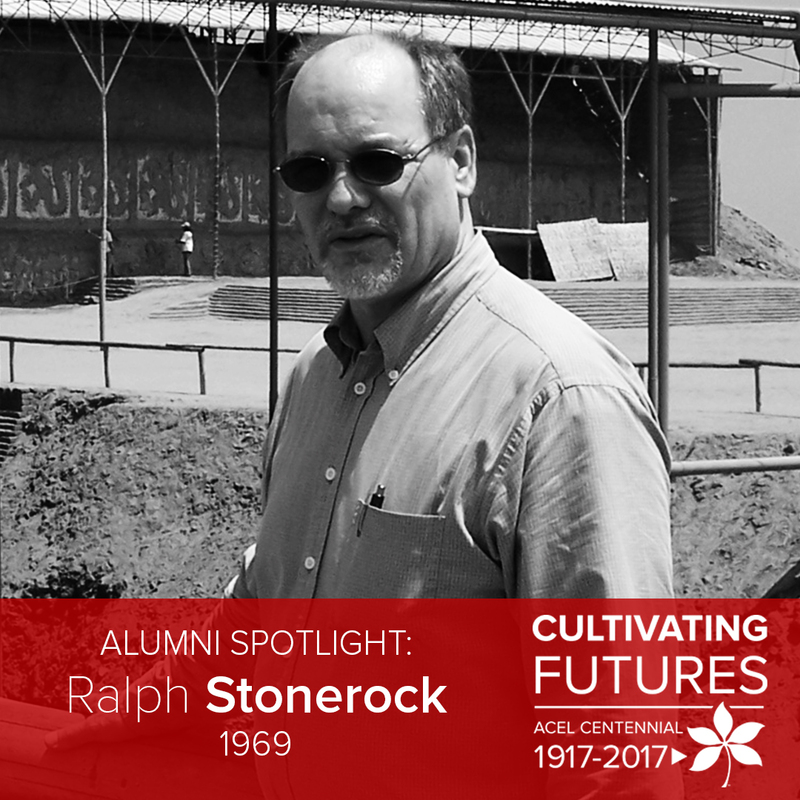 However, probably the most memorable class that I took when I was a senior was a graduate level ruminant nutrition class taught by Dr. Bill Tyznik. The final in Dr. Tyznik’s class was a three hour, group, oral exam in the basement of his house! Another memorable class was Classics 222 – Greek Mythology. I cannot remember the name of the professor, but he made each class a “story time”, with engaging and entertaining lectures. Did you have a faculty member or professor who was influential to your time at Ohio State and beyond? Two professor had an influence on my education. Dr. Leon Boucher was always interested in students and he shared so many practical approaches to teaching. Also, I greatly admire Dr. Robert Warmbrod. I was in the Honors Program Research/ Evaluation class that Dr. Warmbrod and Dr. Boucher taught, plus at least three other related classes taught by Dr. Warmbrod (one at Iowa State when Dr. Warmbrod was a visiting professor). Dr. Warmbrod was a very effective teacher who explained concepts very well in a quiet and purposeful manner. Other professors that were memorable were Gilbert Guiler, Carlton Johnson and David Jenkins. Meeting and becoming friends and colleagues with many outstanding people are the best general memories of my time as an undergraduate at Ohio State. My first employment was as a vocational agriculture high school teacher at Olentangy High School in Delaware County. What awards and honors have you received during your career? 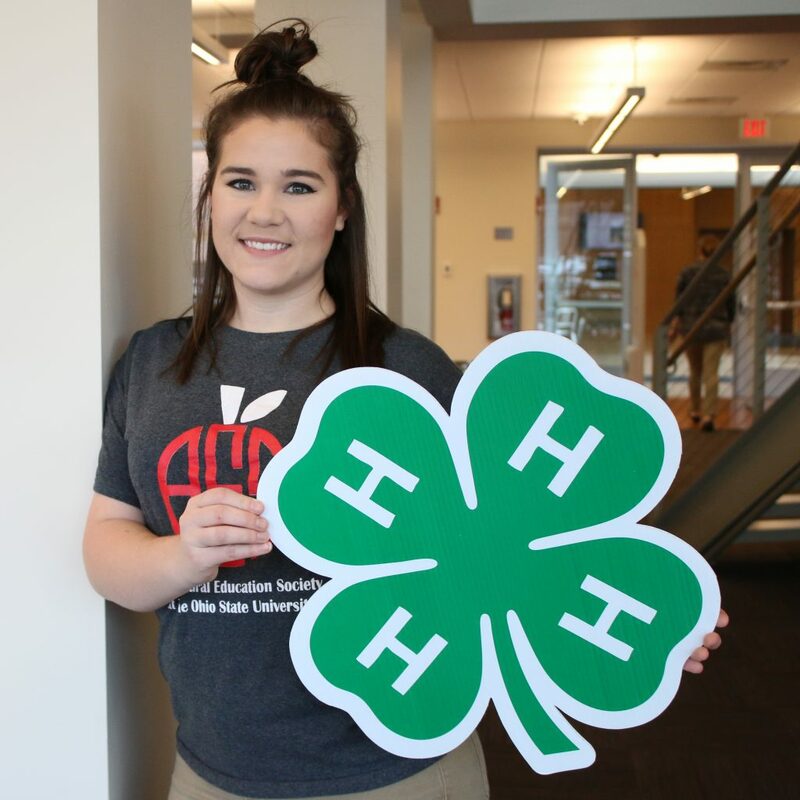 The best thing that happens as a result of my career is when a former student who was in my classes or youth who was in one of the 4-H teen leadership groups that I advised contacts me and tells me that I provided them a skill that has helped them succeed in their life endeavors. Probably the best thing that the Department instilled in me was the basics of the teaching-learning process. My career has been education, and that foundation was necessary. 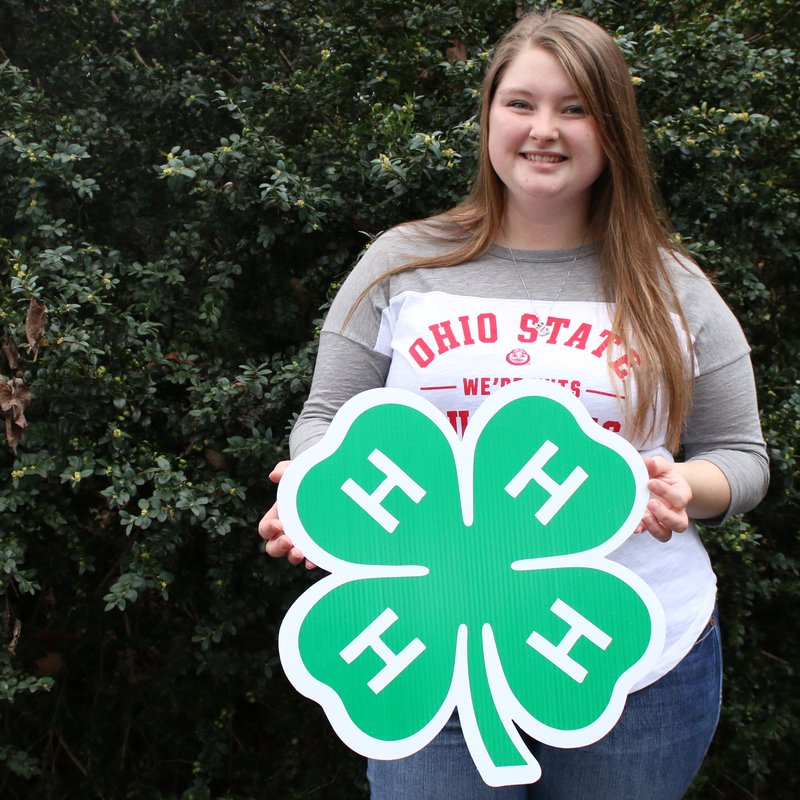 Through their involvement in 4-H, these students were led to Ohio State! We turned Green and White to SCARLET and GRAY! 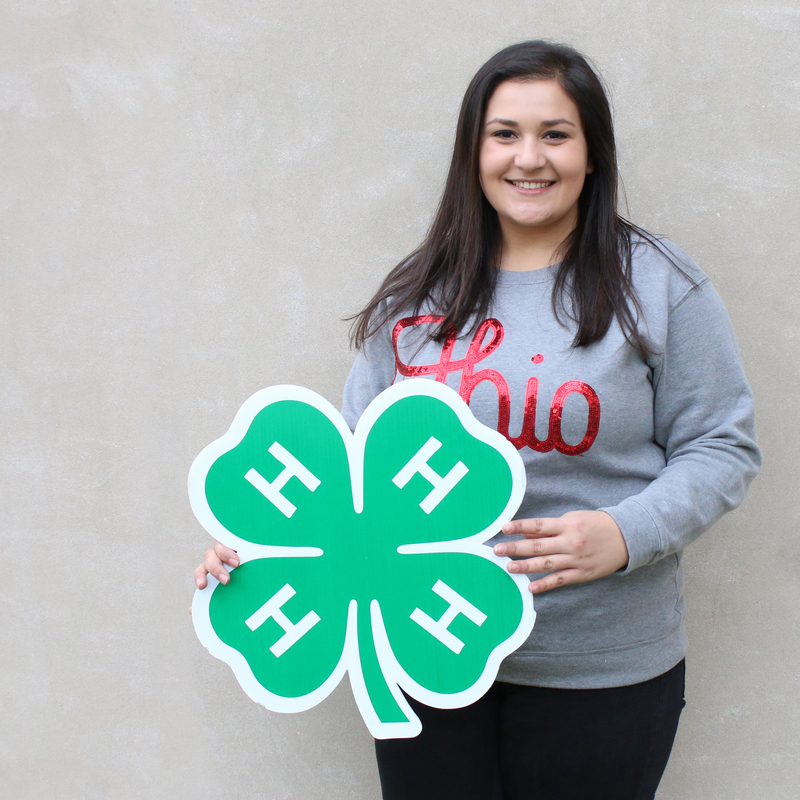 Through their involvement in 4-H, these students were led to the College of Food, Agricultural, and Environmental Sciences at Ohio State! 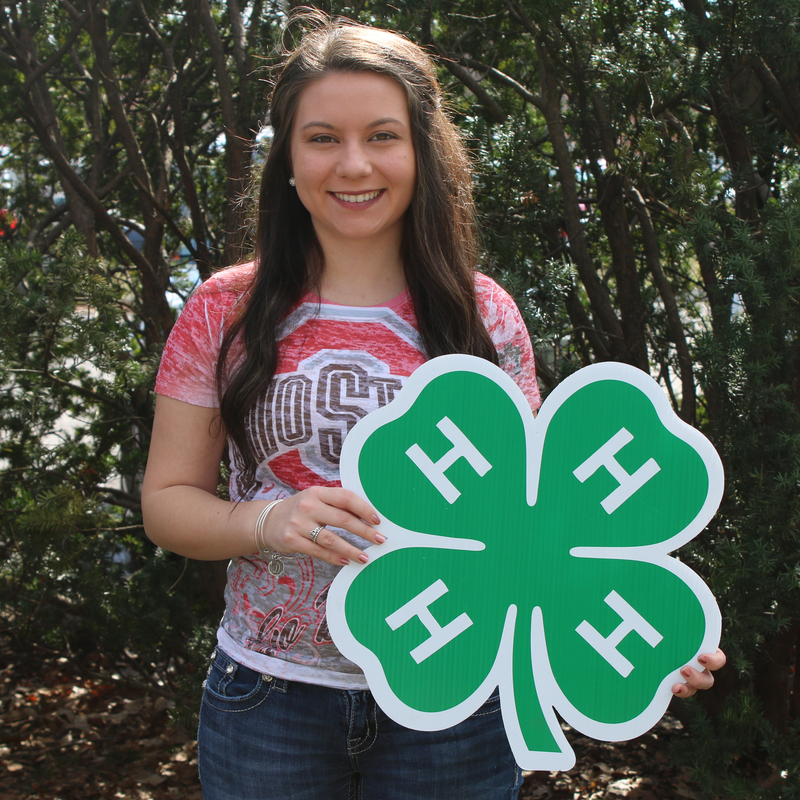 They turned their 4-H green and white to scarlet and gray! As a horse crazy kid, I lived and breathed all things equine. 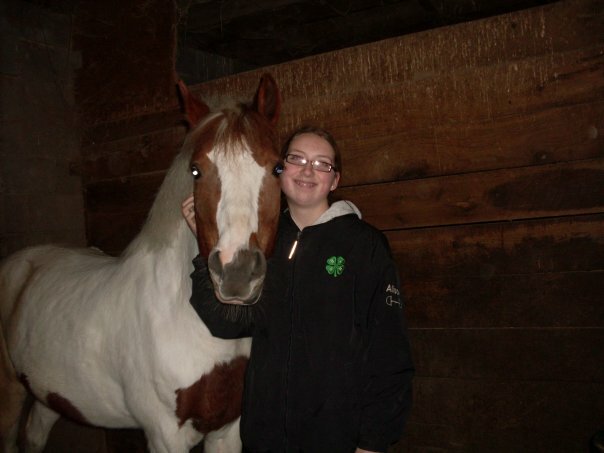 So in fourth grade, I joined my local 4-H horse club, not knowing that I was about to embark on a journey that made me into the person I am today. 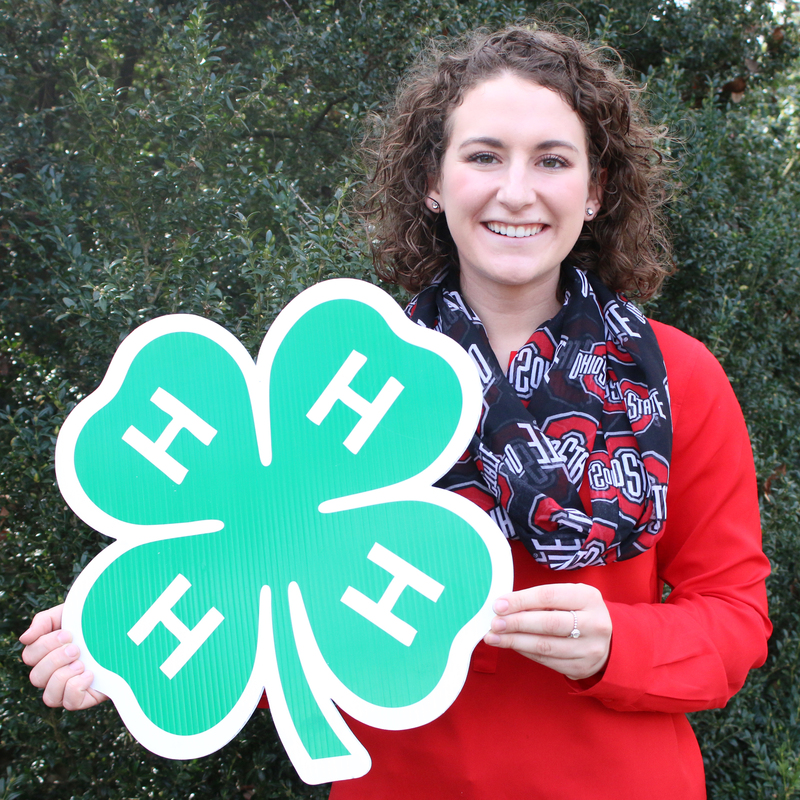 When I joined 4-H, I was painfully shy and quiet- the idea of public speaking or being seen as a leader in any capacity was enough to make me want to hide myself in my favorite horse’s stall and never come out! I never could have foreseen how the next nine years in the organization would change my life. 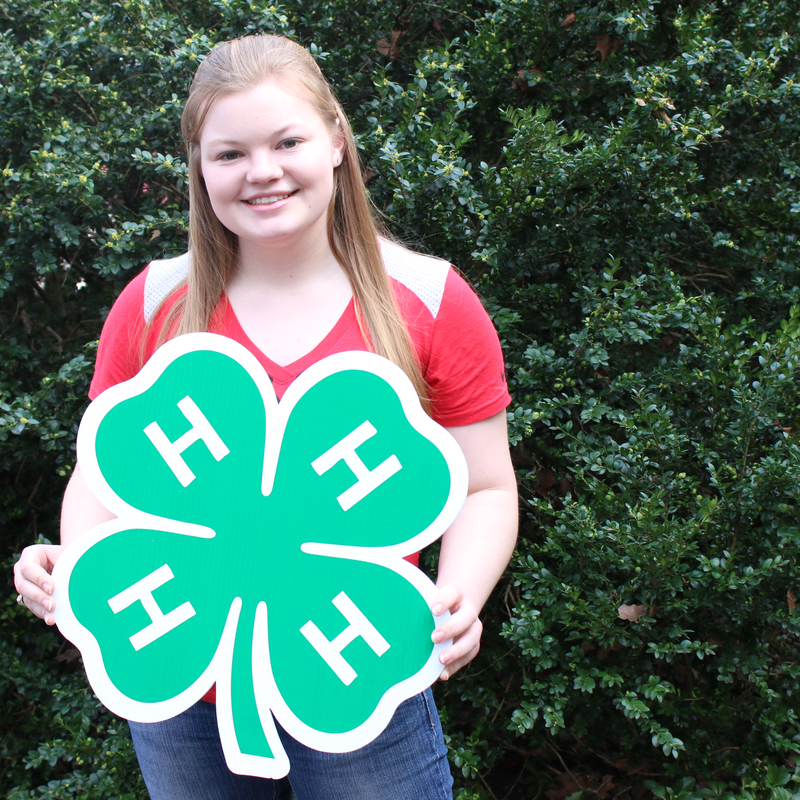 By the time I aged out of the program at 18, I had served as a leader in my club for several years, gave countless presentations and competed at the Eastern National 4-H Horse Roundup twice. 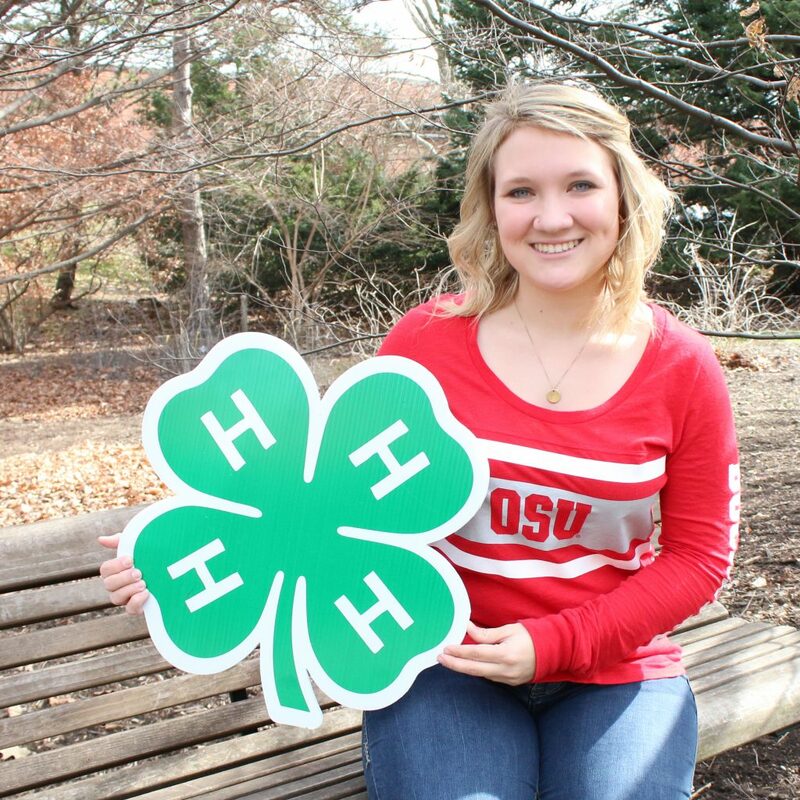 Though I did join FFA in high school, I really found my place in 4-H. 4-H allowed me to do my favorite thing- learn about horses- in an environment that made me into the person I am today. I will never forget the days and nights studying for the National Horse Judging and Hippology competitions, chilly days spent riding my project horse and countless memories made with some of the best friends I have ever had. 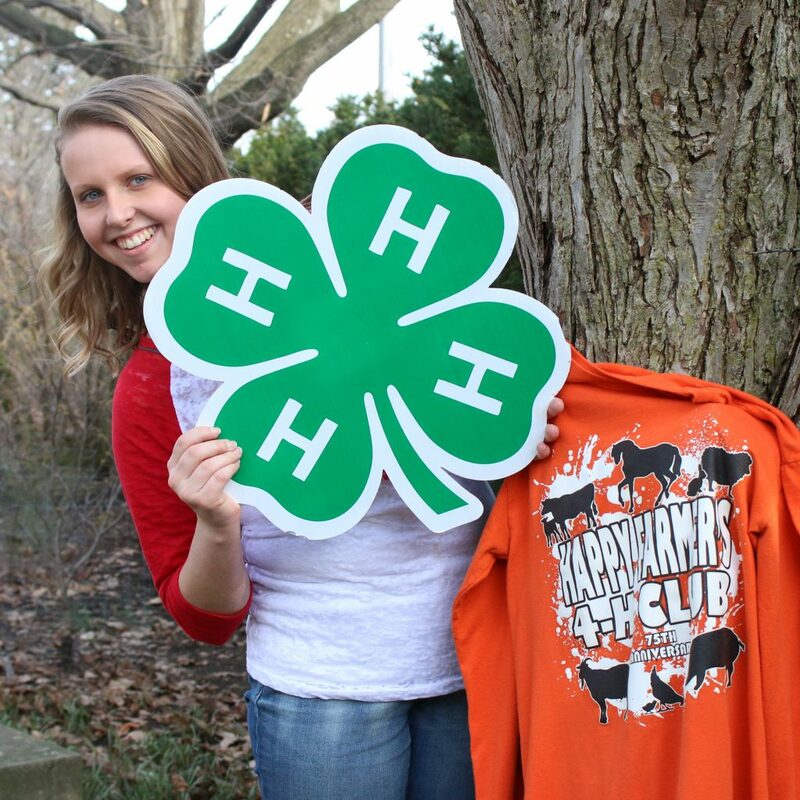 Even though I am no longer active in 4-H (something I hope to change in the future! 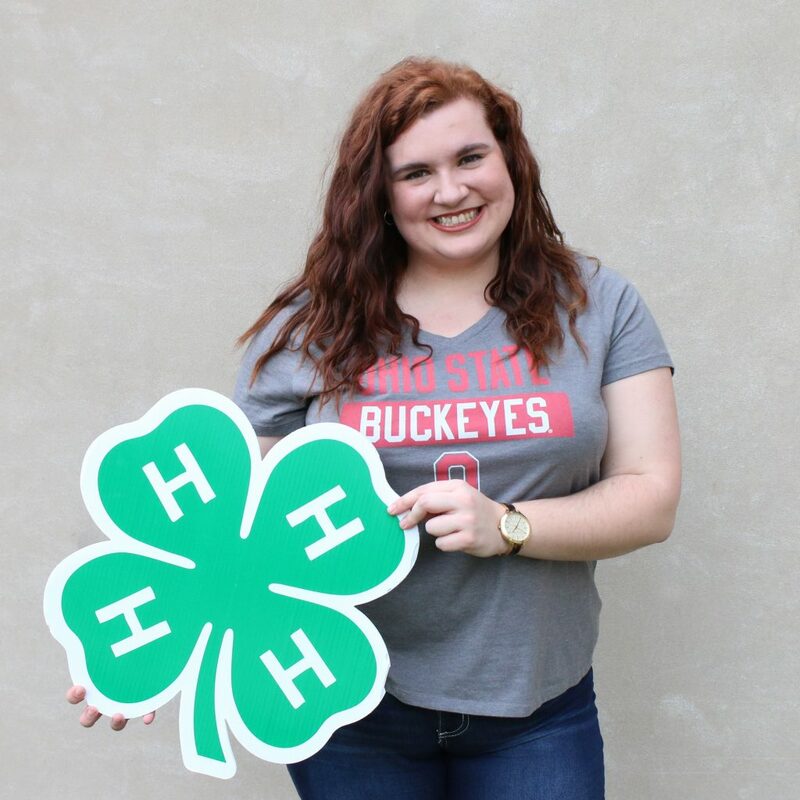 ), I fondly remember those years and know that they played a huge role in turning me into the articulate and confident individual I am today and set me up for my successful four years at Ohio State. 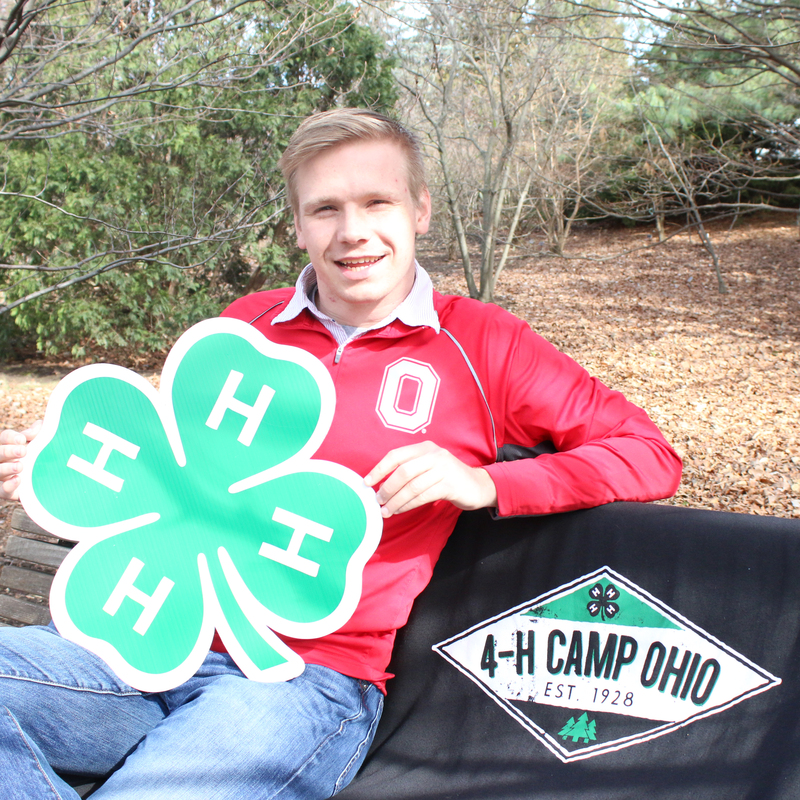 At about this same time last year, I was filling out my application to work as a permanent camp staff member for the summer at Tar Hollow 4-H Camp. My dad, who had worked at camp when he was in college, had always told me all of these really great stories about his times at camp, so I was pretty excited. 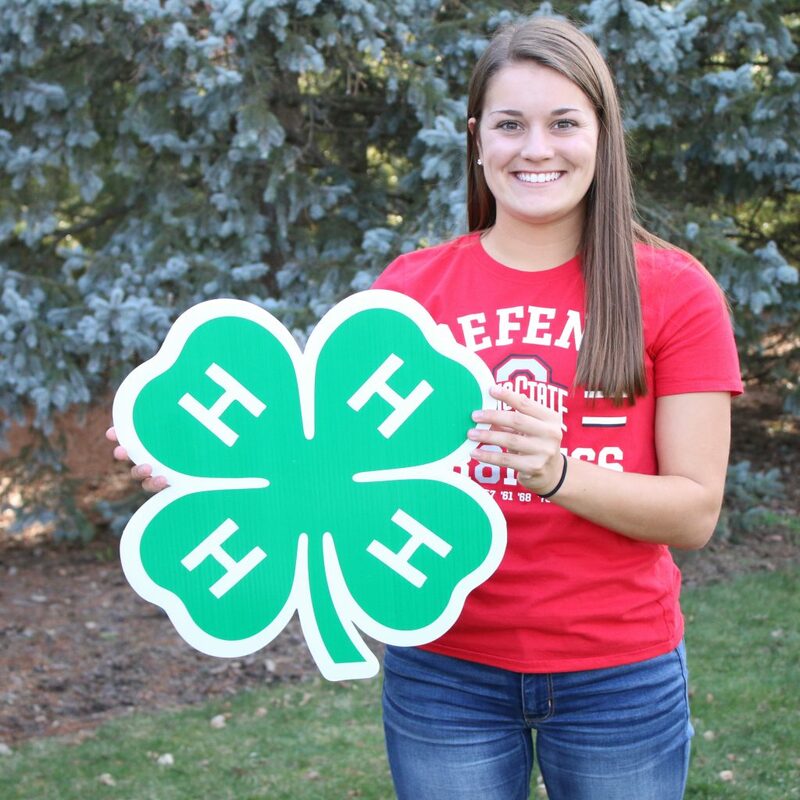 I had been both a camper and a counselor at camp before, and had always had good experiences, so I thought that working on camp staff would be a good fit for me. By the time June rolled around, I couldn’t wait to meet the other staff members that I would be living with at camp, and get moved into our cabin! We were at camp from June 7 to July 14, and during that time there would be nine camps from five counties in and out of camp. That is a lot of camps! Basically, counselors and county staff would move in one afternoon, the campers would arrive the next day and stay for a couple days before moving back out in the morning. The counselors and county staff would leave after all of the campers were gone, and then the counselors and county staff from the next camp would come in that afternoon. It was a whirlwind of a summer, but I loved every minute of it! I had been hired as the craft director, and let me tell you, my organizational skills were put to the test! So were my energy levels, for that matter. I like to think that I am a pretty bubbly person, but at camp you have to be 110 percent energy and excitement at all times. It was so great! I got to spend my summer in an atmosphere that had lots of energy, lots of excitement, great staff members, and a whole lot of awesome campers and counselors. 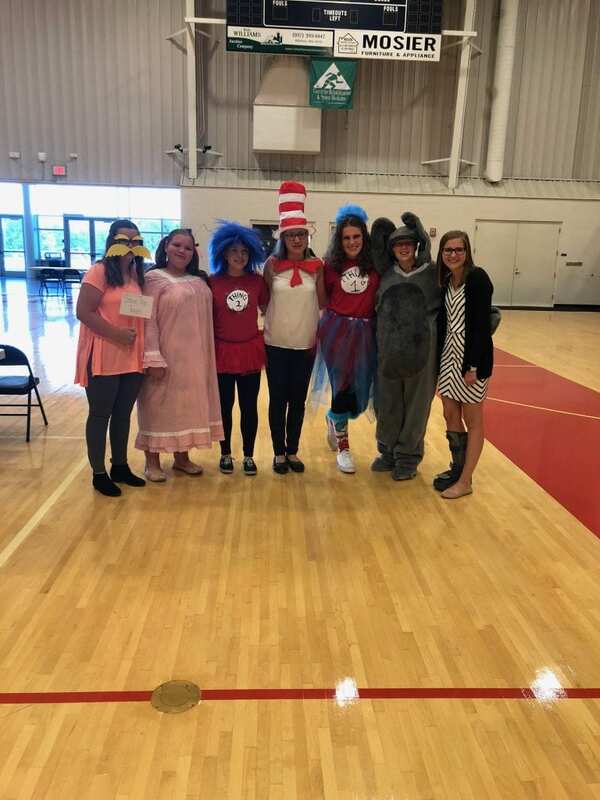 There were so many fun and unique traditions that the different counties brought to camp, there was never a dull moment. I also got to help campers have a great few days at camp, and got to make a lot of great memories myself. Whether it was getting up in the middle of the night to make sure the campers’ crafts would be ready for the next day, or coming up with fun skits and songs for campfire, or the times we [the staff] listened to Disney music the whole day while we squeegeed the lodge in our bare feet between camps, or helping the campers with their crafts, or teaching a line dance, or even trying to get everyone moved into camp in the pouring rain, I was always busy doing something fun. That’s the thing about camp; it is supposed to be fun. Of course there is a lot that goes on behind the scenes to help make it so, but I enjoy planning and cleaning and working with other people, so I enjoyed this part of camp too. It helped that everyone I worked with was just as enthusiastic to be at camp as I was. 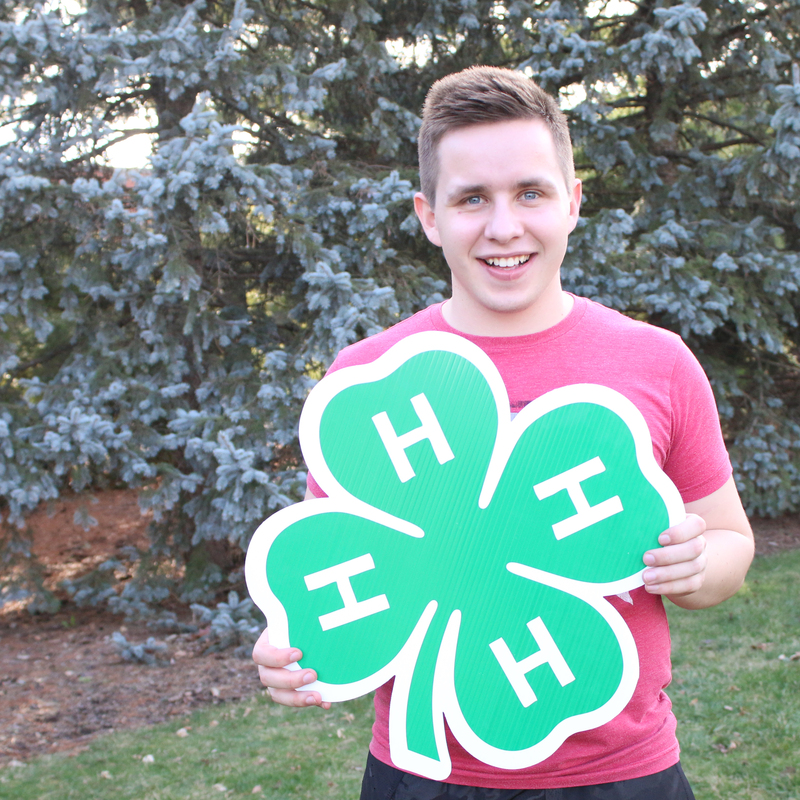 The memories that I gained at 4-H camp were definitely some of the best, and I can’t wait to go back this summer. After all, how many people get to say that they get payed to have fun in a healthy environment that they love?